WASHINGTON (Reuters) - Gregory Craig, a former White House Counsel in the Obama administration, expects to be indicted this week on charges stemming from work for Ukraine in 2012, his lawyers said on Wednesday. "We expect an indictment by the DC US Attorney's Office at the request of the (Justice Department's) National Security Division," Craig's lawyers William Taylor and William Murphy said in a statement. "Mr. Craig is not guilty of any charge and the government's stubborn insistence on prosecuting Mr. Craig is a misguided abuse of prosecutorial discretion," his lawyers said. They said the U.S. Attorney's Office for the Southern District of New York "thoroughly investigated" the case and decided not to pursue charges. Craig's case is one of several that originated in Special Counsel Robert Mueller's probe into Russian interference in the 2016 U.S. election and were later referred by Mueller to other U.S. prosecutors for further investigation. That settlement implicated Craig as the law firm partner who made "false and misleading" statements to the Justice Department unit that enforces the Foreign Agents Registration Act (FARA), increasing the likelihood that Craig would be charged. That changed with the May 2017 appointment of Mueller, who employed FARA to prosecute a number of people including U.S. President Donald Trump's former campaign chairman Paul Manafort and former national security adviser Michael Flynn. Yanukovych's government used the report to justify to the European Court of Human Rights Tymoshenko's pretrial detention. Alex van der Zwaan, the Dutch son-in-law of one of Russia's richest men, served 30 days in prison last year for lying to FBI agents about his communications with two former business partners of Manafort. 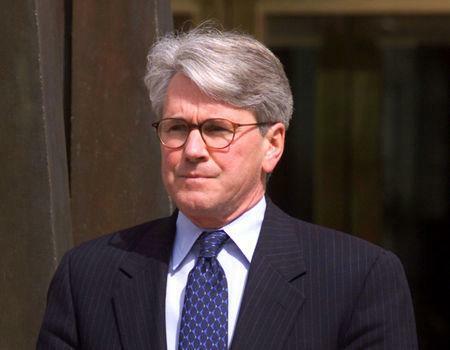 Van der Zwaan's case was brought by Mueller.